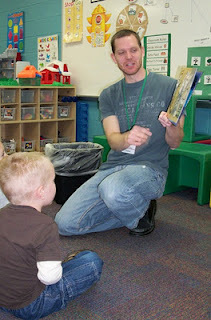 Share-a-Story, Shape-a-Future began today, Monday, March 5th and continues through Friday, March 9th. 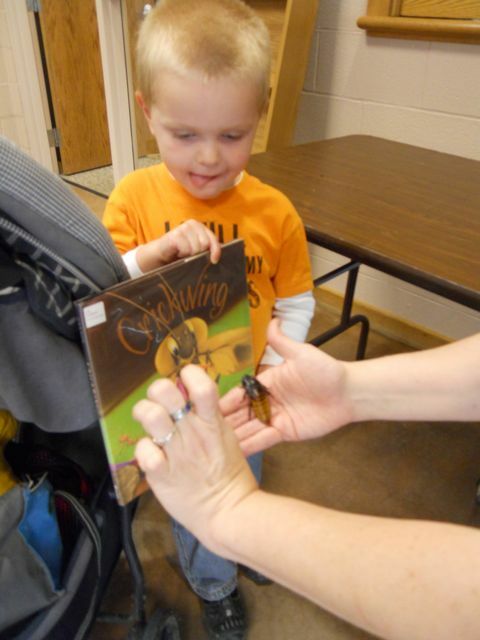 This event is an online, collaborative effort to share ideas and celebrate everything reading has to offer our kids. This year's theme is The Culture of Reading. Today's focus was Creating a Reading Culture hosted by Donalyn Miller of The Book Whisperer. 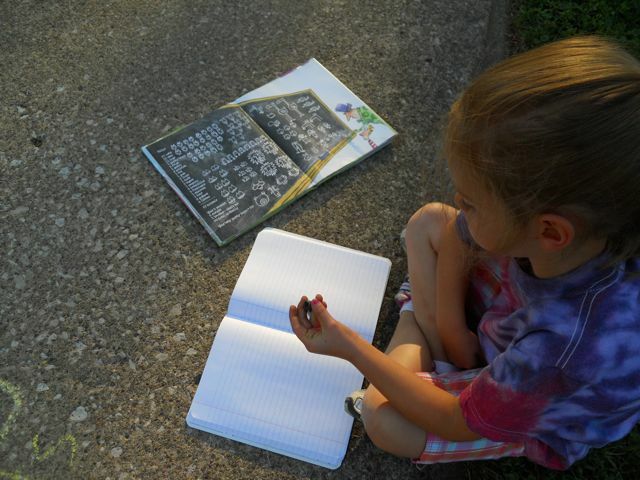 She shares six ways to create a reading culture at home. 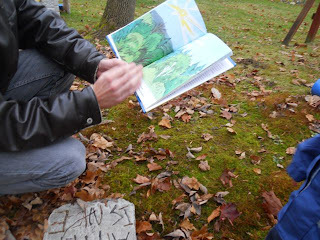 I also enjoyed reading a post from Kristin McIlhagga of Children's Literature Crossroads. She shares ideas to create a reading culture with preservice teachers. You may also want to check out the post from Beth Stilborn of By Word of Beth. She shares ideas to create a reading culture from a distance. There are even more posts at the Share-a-Story website about creating reading cultures. Every day of the week there is also a chance for bloggers to participate in the event by reflecting upon reading with the Writing @ Reading challenge. I have participated in this way the past two years and found it very beneficial in developing my ideas and thoughts about reading. Share a picture of what your ideal/favorite reading space looks like. 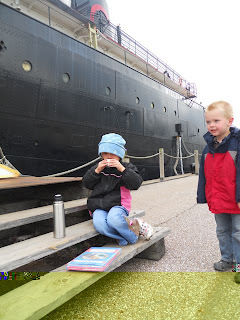 My children and I have read books in many different places. A ballet studio to celebrate Katharine Holabird's birthday. 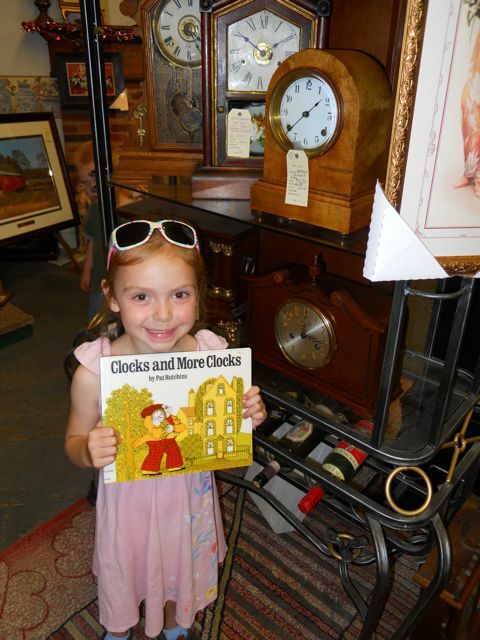 A clock shop to celebrate Pat Hutchins' birthday. A dock near a large ship to celebrate Edward Ardizzone's birthday. A park to celebrate Leslie Patricelli's birthday. A zoo to celebrate Janell Cannon's birthday. The backyard to celebrate Marc Simont's birthday. The driveway to celebrate Erica Perl's birthday. At the library with my children. At a school in front of a group of students. 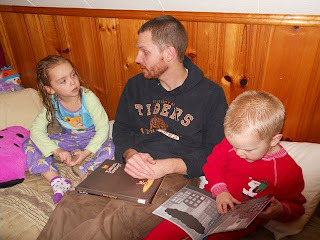 In bed with my children before they go to sleep. Where do you like to read books to your children? Have you read a book in an unusual place with them? Such fun places! We've read all over, too. Museums, restaurants, parks, ballgames, and more. My favorite is snuggled up in our Lazy Boy rocker-recliner with a little one across my lap, a medium-sized sweetie-pie pressed to my side, and the biggest perched on an armrest with his arm draped over my shoulders. Such memories in the making! Memories for sure! 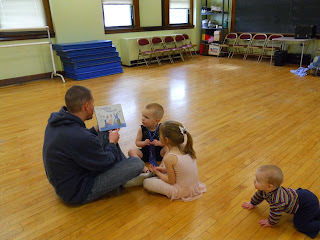 There is something special about reading with your child or children on your lap! Love it! 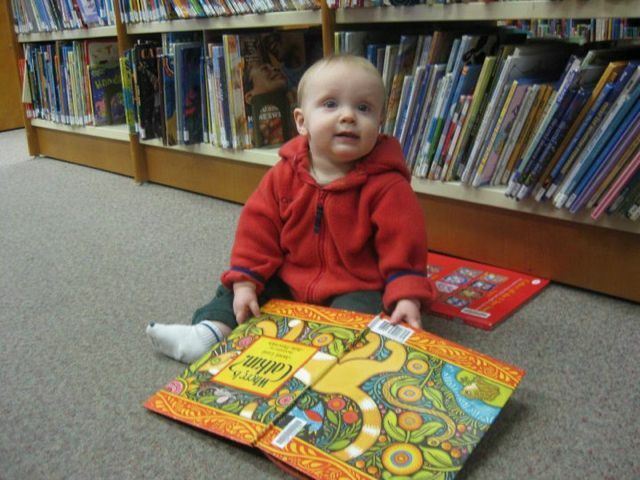 When we read in public places, we always seem to get 'extras' who enjoy it too! 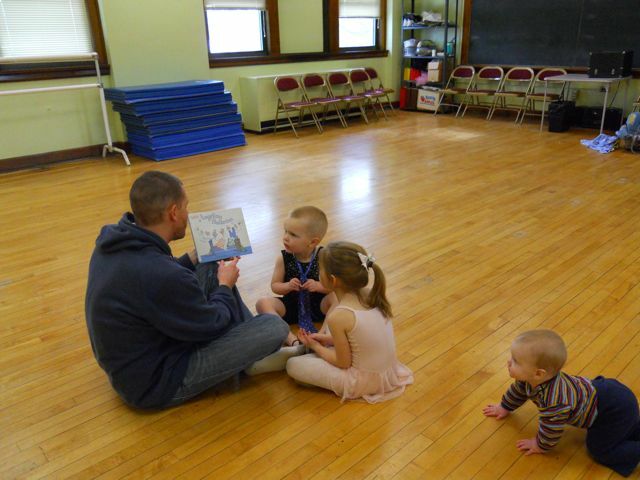 I guess I am always destined to read to a large audience! That is cool! I would love it if I was reading in public and other kids joined in! What fun! Taking relevant books on field trips is such a great idea. Unfortunately, we've been rather boring. Lately we've been reading a lot of books at the doctor's office (thank you, cold and flu season). I periodically do story time in the park with groups of kids. We often make puppets that represent characters in the story. That way, the children can play along. Isn't the end of winter seem to always be full of doctor visits! Yuck! Spring is coming soon! Hope everyone stays well! 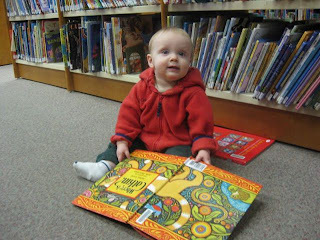 I think one of my favorite places when our kids were young was our public library--everything was child-sized and so welcoming! Another great post! I love the children's section at the library. It is such a happy place! We like to read all snuggled up on the couch or on my big bed so everyone fits. But I like the idea of destination reading. We've read all over of course, but I don't think we've planned a specific outing around a reading experience. Great idea! What books do you like to read to all your kids at the same time? It can be so much fun if they all are engaged at once. I love all the different places you've read (Dr. Seuss needs to come back to write "Oh, the Places You'll Read!") That would be so much fun to do with kids, and it would make such a fantastic impression on their memories. Thanks so much for highlighting my Share a Story post, too! I appreciate that so much. It is funny that you mentioned Dr. Seuss because I was thinking Green Eggs and Ham. 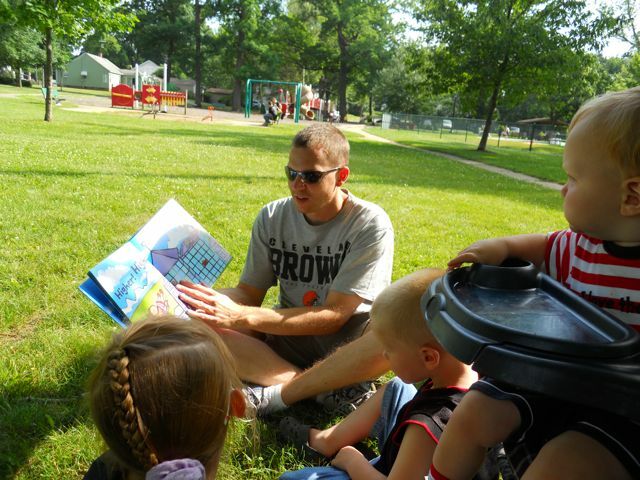 Will you read books in the park? In a shop? At a zoo? It is so much fun to do! I have been enjoying your posts for Share a Story! Thank you! I get squished too! I can't even turn the pages half the time! What a great album of places to read. I especially love that you picked places to "celebrate" something ... very cool! So glad I stopped by. Thanks Terry! I am so glad it is Share a Story Week! I don't sleep much during this event!